We are loving the TV series "Vikings". It is great mindless entertainment. 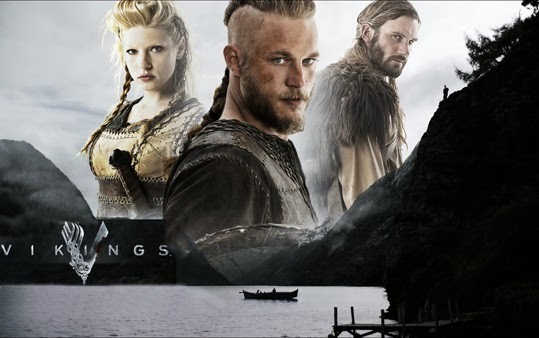 "Vikings" follows the adventures of Ragnar Lothbrok the greatest hero of his age. The series tells the sagas of Ragnar's band of Viking brothers and his family. Aussie born and raised Travis Fimmel is pretty hot too.